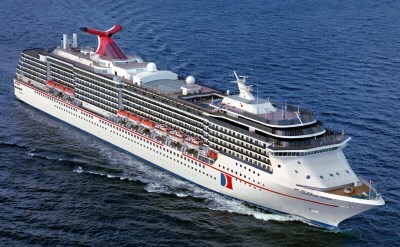 Carnival Cruise Line offers cruises out of Fort Lauderdale, Jacksonville, Miami, Port Canaveral and Tampa in Florida. The selection includes holiday, 3-day and repositioning cruises. See the details below. Carnival is an affordable, casual cruise line. The ships are designed in a flamboyant style. The target market is young families and people who want to party. 5-day Bahamas Christmas cruise on Carnival Ecstasy. Round-trip from Jacksonville to Nassau (Bahamas) and Princess Cays (Bahamas). 5-day Western Caribbean Christmas cruise on Carnival Paradise. Round-trip from Tampa to Grand Cayman (Cayman Islands) and Cozumel (Mexico). 5-day Eastern Caribbean Christmas cruise on Carnival Sensation. Round-trip from Miami to Nassau (Bahamas), Half Moon Cay (Bahamas) and Grand Turk (Turks & Caicos). 7-day Eastern Caribbean Christmas cruise on Carnival Conquest. Round-trip from Miami to Grand Turk (Turks & Caicos), San Juan (Puerto Rico), St Thomas (US Virgin Islands) and Amber Cove (Dominican Republic). 7-day Western Caribbean Christmas cruise on Carnival Breeze. Round-trip from Port Canaveral to Cozumel (Mexico), Belize, Mahogany Bay (Honduras) and Costa Maya (Mexico). 8-day Southern Caribbean Christmas cruise on Carnival Magic. Round-trip from Fort Lauderdale to Grand Turk (Turks & Caicos), La Romana (Dominican Republic), Curacao and Aruba. 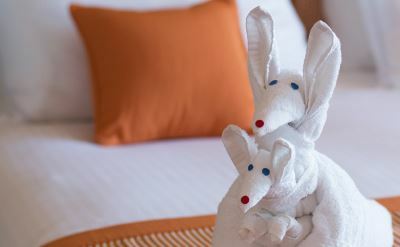 6-day Eastern Caribbean Christmas cruise on Carnival Horizon. Round-trip from Miami to Nassau (Bahamas), Amber Cove (Dominican Republic) and Grand Turk (Turks & Caicos). 7-day Western Caribbean Christmas cruise on Carnival Legend. Round-trip from Tampa to Grand Cayman (Cayman Islands), Mahogany Bay (Honduras), Belize and Cozumel (Mexico). 4-day Bahamas Christmas cruise on Carnival Liberty. Round-trip from Port Canaveral to Nassau (Bahamas) and Princess Cays (Bahamas). 4-day Western Caribbean Christmas cruise on Carnival Victory. Round-trip from Miami to Key West (Florida) and Cozumel (Mexico). 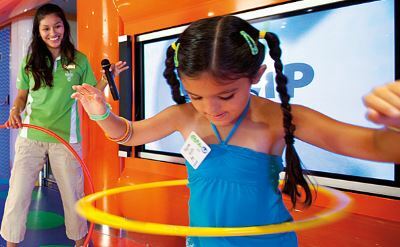 5-day Western Caribbean Christmas cruise on Carnival Sunrise. Round-trip from Fort Lauderdale to Ocho Rios (Jamaica) and Grand Cayman (Cayman Islands). 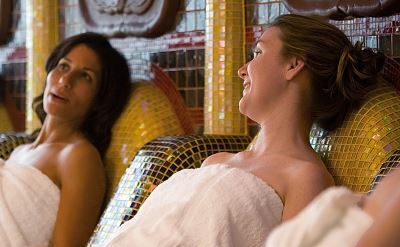 5-day Eastern Caribbean Christmas cruise on Carnival Elation. Round-trip from Port Canaveral to Amber Cove (Dominican Republic) and Grand Turk (Turks & Caicos). 3-day Bahamas cruises on Carnival Victory. Round-trip from Miami to Nassau (Bahamas). • 2019 departures: May 10, 17, 24, 31; June 7, 14, 21, 28; July 5, 12, 19, August 2, 9, 16, 23, 30; September 6, 13, 20, 27; October 4, 11, 18, 25; November 8, 15, 22, 29; December 6, 13, 20, 27. • 2020 departures: January 3, 10, 17, 24, 31; February 7, 14, 21, 28; March 6. 3-day Bahamas cruises on Carnival Victory. Round-trip from Miami to Nassau (Bahamas)(overnight). • 2019 departures: April 5, 12, 19, 26; May 3. 3-day Bahamas cruises on Carnival Conquest. Round-trip from Miami to Nassau (Bahamas). • 2020 departures: March 20, 27; April 3, 10, 17, 24; May 1, 8, 15, 22, 29; June 5, 12, 19, 26; July 3, 10, 17, 24, 31; August 7, 14, 21, 28; September 4, 11, 18; October 16, 23, 30; November 6, 13, 20, 27; December 4, 11, 18, 21, 28. • 2019 departures: April 4, 11, 18, 25. 3-day Bahamas cruises on Carnival Liberty. Round-trip from Port Canaveral to Nassau (Bahamas)(overnight). • 2019 departures: May 10, 17, 24, 31; June 7, 14, 21, 28; July 5, 12, 19, 26; August 2, 9, 16, 23, 30; September 6, 13, 20, 27; October 4, 11, 18, 25; November 1, 8, 15, 22, 29; December 6, 13, 20, 27. • 2020 departures: January 3, 10, 17, 24, 31; February 7, 14, 21, 28; March 6, 13, 20, 27; April 3, 10, 17, 24; May 1, 8, 15, 22, 29; June 5, 12, 19, 26; July 3, 10, 17, 24, 31; August 7, 14, 21, 28; September 4, 11, 18, 25; October 2, 9, 16, 23, 30; November 6, 13, 20, 27; December 4, 11, 18, 21, 28. 13-day Panama Canal repositioning cruise on Carnival Miracle. One-way from Tampa to Long Beach (California). Visit Cartagena (Colombia), the Panama Canal, Puerto Quetzal (Guatemala) and Cabo San Lucas (Mexico). 13-day Panama Canal repositioning cruise on Carnival Legend. One-way from Tampa to New York. Visit Cozumel (Mexico), Limon (Costa Rica), the Panama Canal (partial transit), Cartagena (Colombia), Aruba and Grand Turk (Turks & Caicos).